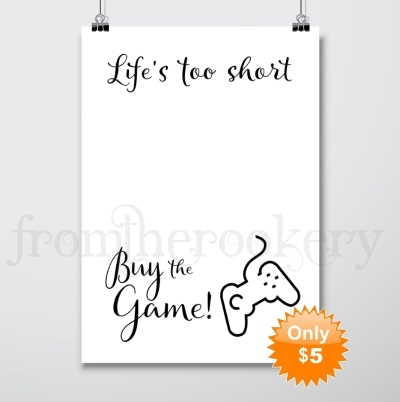 Gamers, Teenage boys and College students are sooo hard to buy for! 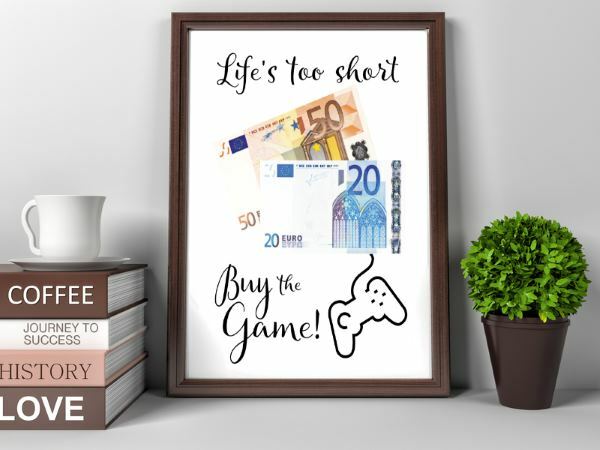 And gifting money or gaming vouchers can seem a little dreary. So I have found a way to spruce it up - and give you something fabulous to wrap. Just print, add your vouchers and frame to make a unique gift! I ordered as a Christmas gift for my boys. They loved it!! 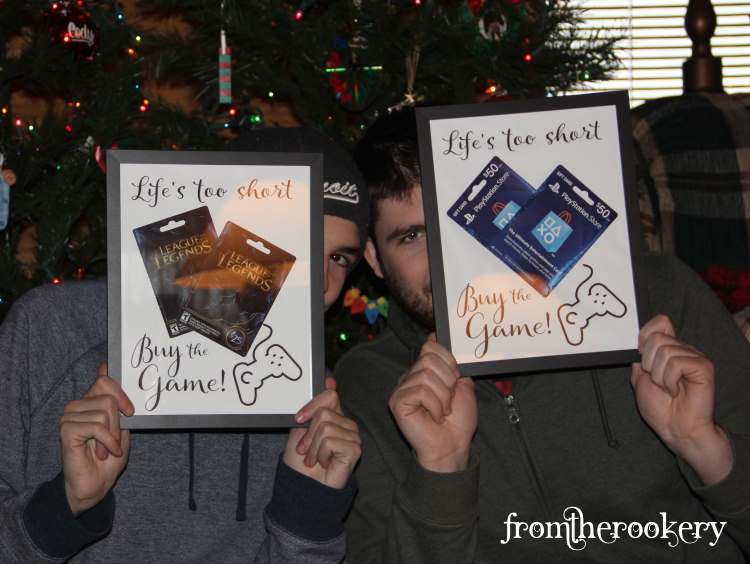 Once they used the gift cards they both put them back into the frame and hung them on their bedroom wall. They really loved how unique it was! 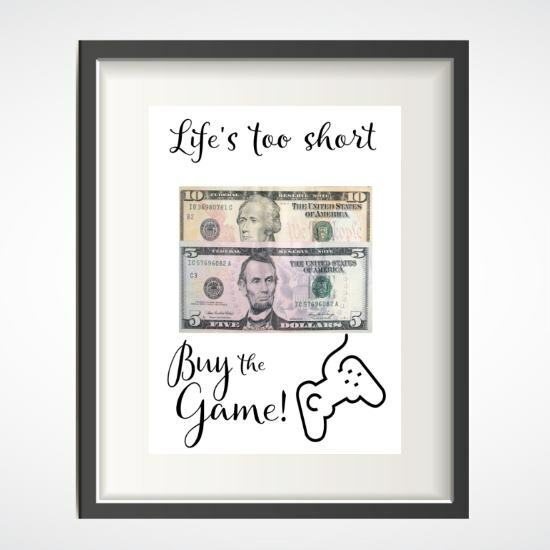 This unique PRINTABLE is available in 4 different sizes so you can easily find a frame to fit. INSTANT Download - you print, add vouchers then frame! 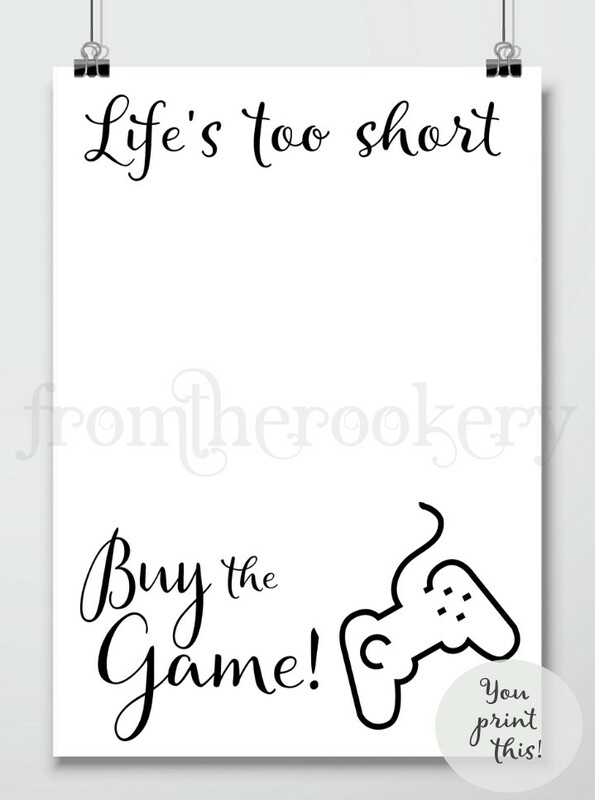 ♡ 1 x 8x10 inch JPG image file of the print with space to add items.